2015 was a remarkable year for the US trucking industry which saw it set a new record by hauling freight worth in excess of $726 billion over the twelve months. 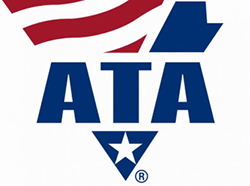 The latest data is provided by the American Trucking Association (ATA) and signals back-to-back years that freight value has exceeded $700 billion. Other data from the study reveals that trucking accounted for some 81.5% of the national freight bill last year and that 10.49 billion tonnes of freight were transported in 2015. In terms of tonnage that accounts for 70.1% of all domestic freight moved during the year. It's an exciting time for the industry and that applies equally to Hot Shot Trucking as we're witnessing another strong year in 2016. Learn more about our services and how we can assist with your hot shot freight nationwide today. As a part of the Expedited Group of Companies, here at HotShotTrucking.com we take immense pride in providing best in class effective and reliable Hot Shot Trucking Services across North America. You can rely on us to consistently provide unrivalled service and dedicated support for all of your Hot Shot Trucking needs. Please call us today at (800) 713-1000 to learn more. Copyright © 2019 HotShotTrucking.com. All rights reserved.